← Composting in my apartment? With apple season now upon us, here is a good way to preserve your bounty. The ingredients are super simple and you can adjust the quantities accordingly depending on the abundance of your harvest. For my version, I used 10 apples, the juice of 4 lemons (you can also use 1/2 cup prepared lemon juice), 1/2 cup water, ground cinnamon, and cooking spray. Preparation consists of 3 steps and I set up a little assembly line to make the process more efficient. Step 1: Give your apples a good washing. I prepared 2 apples at a time, but if you are working with a higher volume of lemon juice-water concentration, you can do more (I found my version to be more cost-effective, but it takes a bit longer). 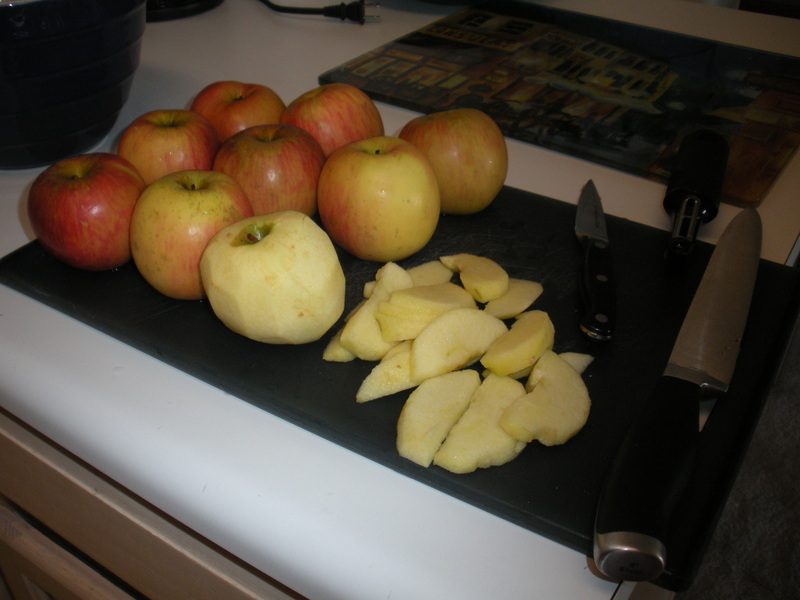 Peel, core and slice your apples into 1/4-inch slices. Step 2: Place the apples into the lemon juice-water mixture, ensuring they are fully submerged. Leave the apples in the liquid for 5 to 10 minutes. This helps to prevent browning. 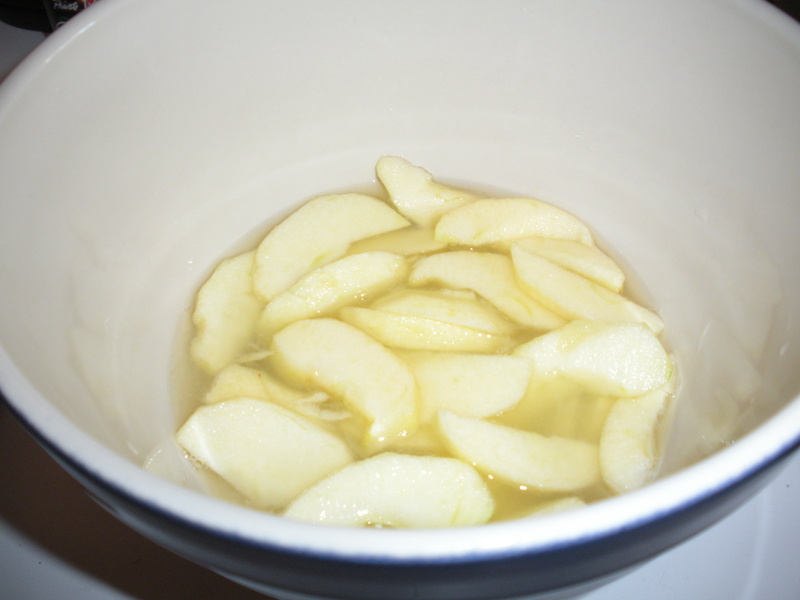 Step 3: Remove apples from the mixture, shaking any excess liquid back into the bowl. Arrange on a cookie sheet and ensure that the pieces are not touching. 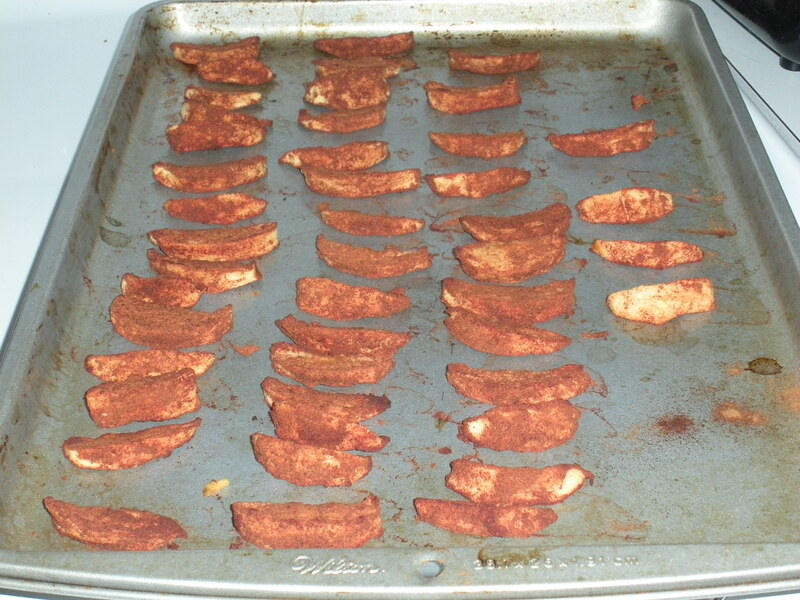 Sprinkle both sides of the apple pieces with cinnamon for an added kick. Preheat your oven to 150*F or the lowest possible temperature your oven will allow. Repeat steps 1-3 until all of your apples have been prepared. How long do you cook the apples? This will depend on the type of apples you use, how much moisture is in the apples, and how thick you’ve cut your slices. Mine took about 14 hours. 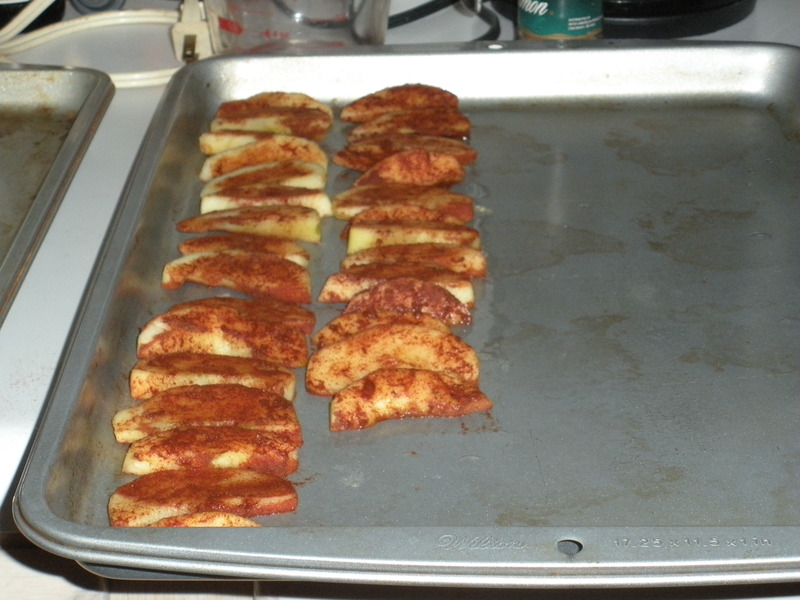 You’ll want to flip the apples and re-arrange the trays in the oven approximately every 2 hours so the cooking is balanced and the air circulates around the apples well. If you’re feeling adventurous, you can crack up the heat to 200 or 250, but you must watch your apples more closely. You will know they’re ready when they appear a bit withered and have a leathery texture. Don’t overbake them so they’re brittle. After your apple crisps have cooled a bit, place them in a suitable-size container or cookie jar and leave them there for a few days. Shake the apples around 1 or 2 times each day to help prevent sticking. This step will help any remaining moisture spread out between the slices. On the third day, put your apples into ziploc bags, ensuring they are vacuum-sealed. Place in your freezer for 48 hours to pasteurize. This step is necessary to kill any insect larvae they may be inhabiting your apples. I know it sounds gross, but the oven temperature was not warm enough to kill these guys and you want your apples to preserve for the long haul. 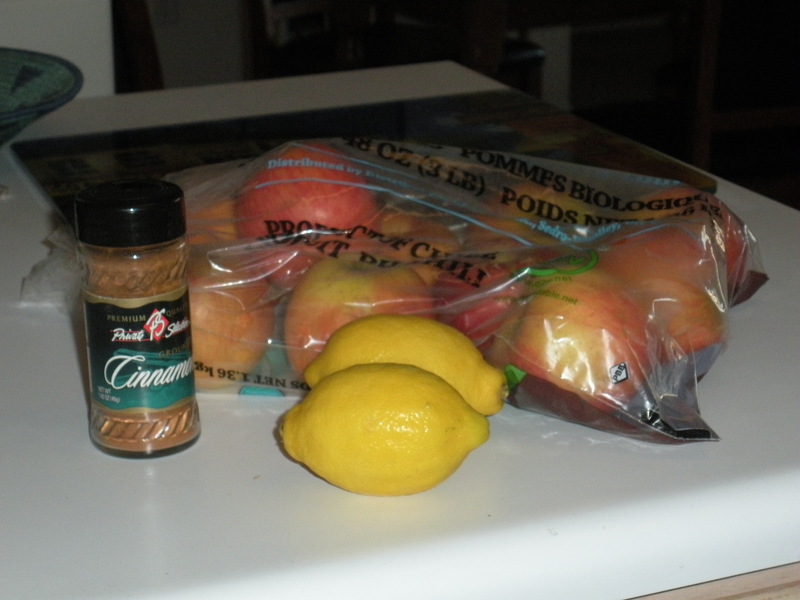 After this step is complete and the apples have thawed, they’re ready to eat. Dried apples will be good for about 6 months. 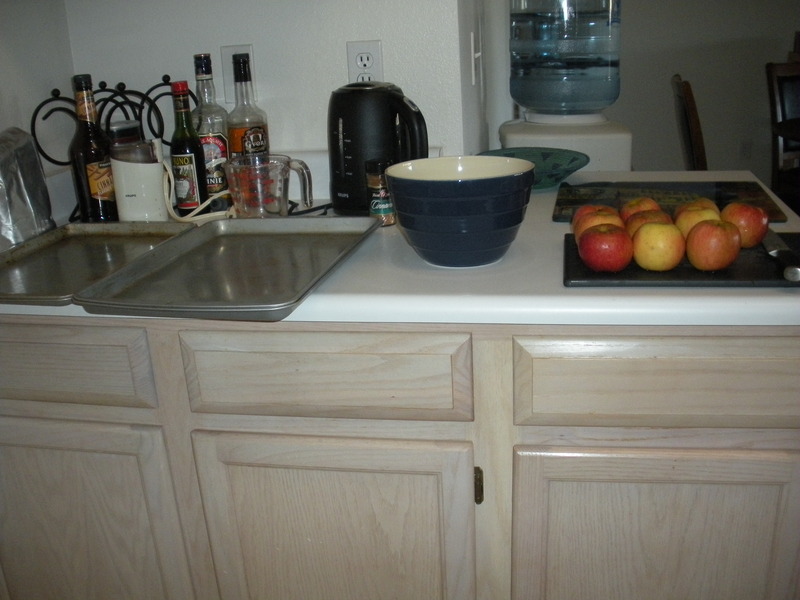 This entry was posted in DIY, Healthy Living, The Simple Living Experiment and tagged apples, cooking, DIY, food preservation, healthy snacks, simple living. Bookmark the permalink.